Memorial Day weekend is the unofficial start of summer. In Michigan, it's time for backyard barbecues, trips Up North, or fishing, swimming, or boating on a local lake. The frost that still chilled our bones only a few weeks (or less) before has given way to blooming flowers and grass and trees whose greenness always seems to overtake the land overnight. 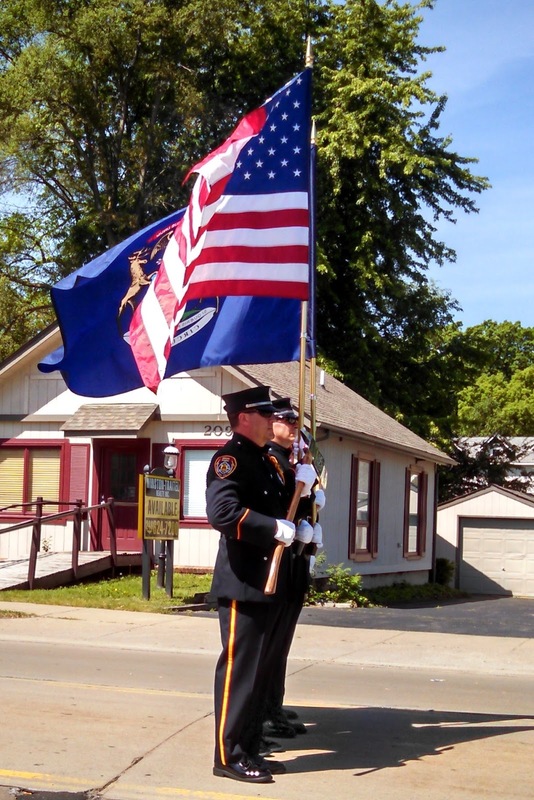 Memorial Day itself is a time to honor those who made the ultimate sacrifice for our country, and towns throughout Michigan salute them with parades. This Memorial Day, my seven-year-old daughter had the opportunity to march in the Keego Harbor Memorial Day with her dance school. 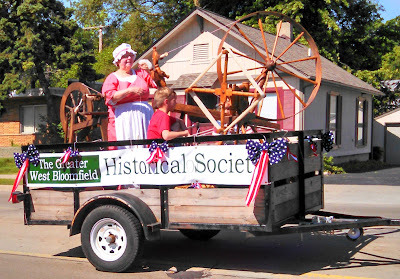 The mile-long parade was very much a local affair with marchers that included local firefighters, law enforcement, political candidates, churches, businesses, scout troops, and the West Bloomfield High School band. 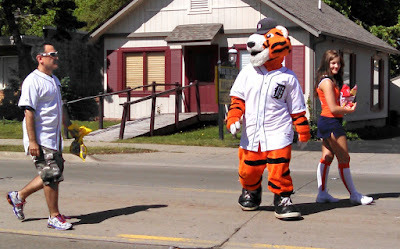 It is a great parade for kids. There were a lot of children marching in the parade, but the event also catered to kids who were mere spectators. 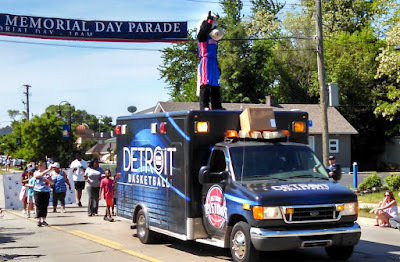 Kids along the route got to see cool things like a fire truck, a police boat, and the Pistons and Tigers mascots. But the best part for our kids was the candy thrown by the parade participants to the crowds. We collected candy like it was Halloween, but we didn't have to walk door to door to do so. 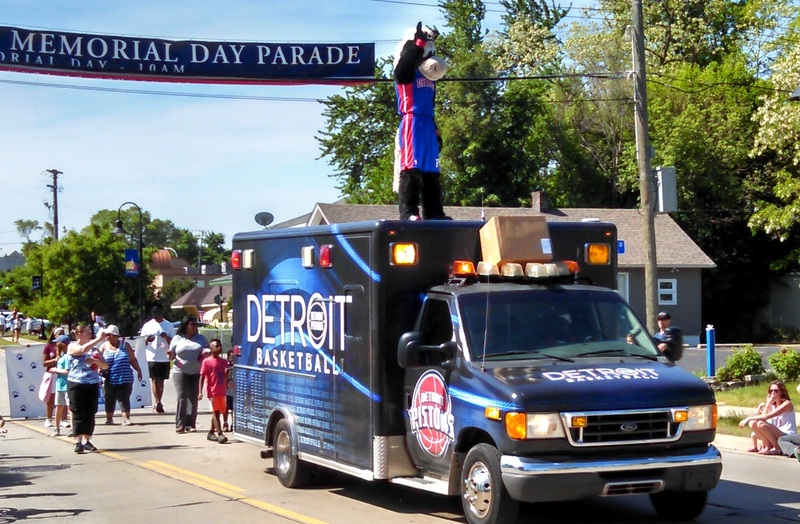 It wasn't just candy and mascots though; the parade was full of constant reminders of the importance of the day. 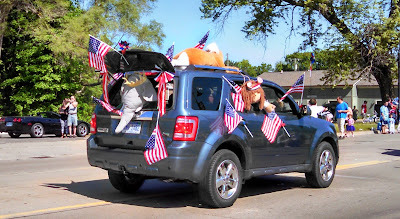 A few military veterans marched in their uniforms, the high school marching band played patriotic marches, and children and adults wore red, white, and blue and waved American flags. Towards the end of the parade, firefighters stood before us holding the Michigan and American flags. The bright sun reflected off the firefighters' axes and polished shoes, and the flags flapped quietly in the light breeze. And I was grateful to experience this peaceful moment on a beautiful Memorial Day. 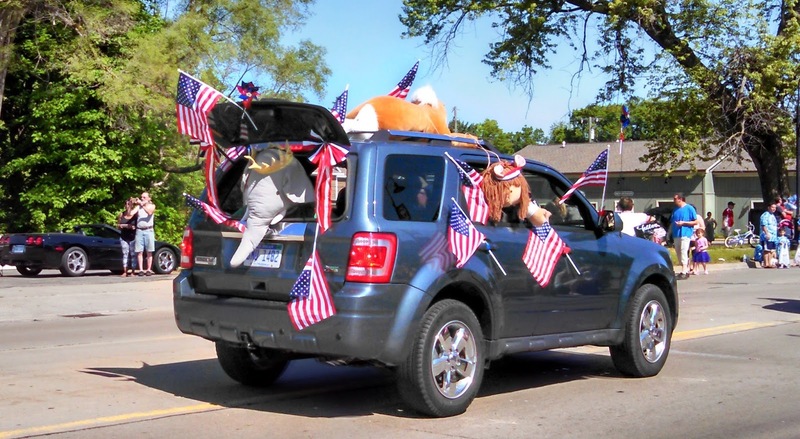 This is lovely, a wonderful celebration of being an American!